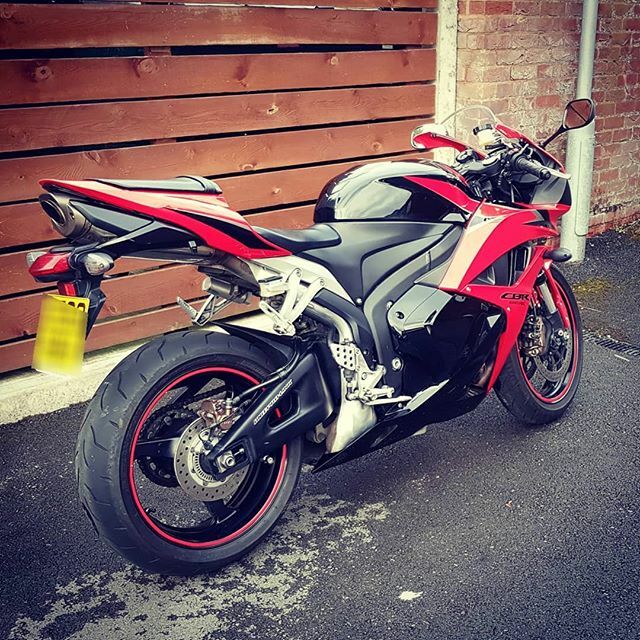 Red/Black Honda CBR600 RR ABS Completely stock, apart from reflective, red rim tape. The bike was covered and locked with one chain and one steel-cable to a large, steel cycle shelter, which is itself bolted into the concrete of our apartment's private car park. A disc lock was also in-situ. At some time between the evening of 19/01/2019 and the early hours of 20/01/2019, all three locks were broken / cut and the bike was stolen.